This August, in addition to airing the summer spectacular live on Pay-Per-View, WWE is set to release a brand new, sizzlin’ hot DVD collection titled “30 Years of SummerSlam”. Known as “The Biggest Party of the Summer” for three decades, SummerSlam is where champions are crowned, dream matches are created, and rivalries come to an explosive end. Now, relive the greatest matches & moments from the illustrious history of SummerSlam! As the above preliminary synopsis suggests WrestlingDVDNetwork.com can confirm that the current plan is to present this one as a compilation set rather than a documentary (or a countdown like last year’s “30 Years of Survivor Series” DVD) so that means there’s room for more matches! Expect to see the usual 3-disc set featuring in the region of 15-20 full-length matches and moments; a “Best of” format beginning with the inaugural SummerSlam PPV in 1988 and journeying through to the present day. The selected content will likely be coupled with host segments introducing the bouts. “30 Years of SummerSlam” has now been scheduled for release to fans in the UK on August 27th, 2018 and can already be pre-ordered here on Amazon.co.uk. We’ll follow up with release dates for United States, Canada and Australia as we receive them. WWE just gave us all a first glimpse of potential DVDs under consideration for 2019! It’s a New Day, Yes It Is! 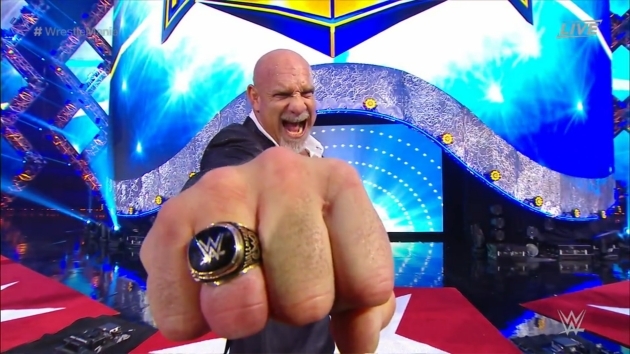 PWInsider.com has posted a synopsis for each potential 2019 WWE DVD – check ’em out. It’s WrestleMania 34 release day in the UK! 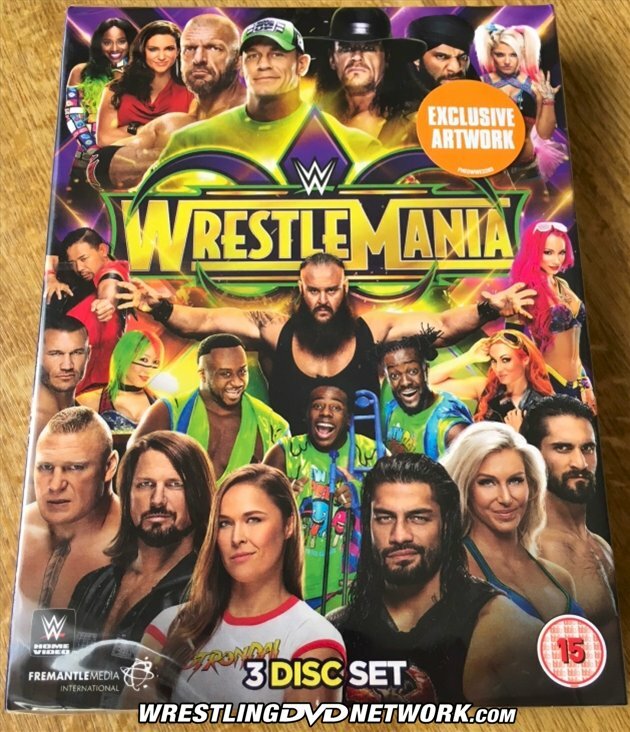 And not only is WrestleMania 34 in stores now as a standard DVD or Blu-ray, fans in the UK are being treated to an exclusive 4-disc version of the DVD that includes an NXT TakeOver: New Orleans bonus disc that has never been released elsewhere. ASDA stores are stocking this title as a Retail Exclusive and we hear that it is a limited run with only 3000 copies produced. Can’t make it to a store? You can grab the NXT DVD bonus online — WWEDVD.co.uk are supplying it as an Online Exclusive and they are doing so with both the 3-disc DVD and the 2-disc Blu-ray editions of WrestleMania 34, so this is the only way to get hold of the bonus with the Blu-ray. To clarify, we recently pictured the UK WM34 Digipak DVD which had “4 DISC SET” printed on the front cover. This is the ASDA Retail Exclusive which specifically refers to the release being a 4-disc set, whereas the Online Exclusive is labelled a “3 DISC SET” and has a sticker highlighting the inclusion of NXT TakeOver. Both however contain the bonus and the same number of discs. – UK/Europe: RIGHT NOW! Grab the WrestleMania DVD or Blu-ray now via Amazon.co.uk. – USA: RIGHT NOW! Get WrestleMania on DVD or Blu-ray right now here on Amazon.com. – Australia: RIGHT NOW! Grab your WrestleMania DVD (Blu-ray soon) at Madman.com.au. 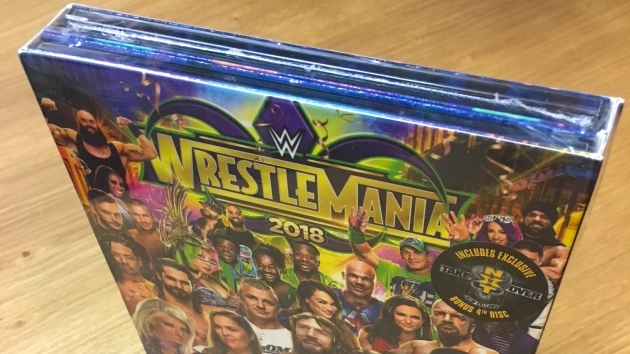 Speaking of WrestleMania 34, when the ‘Mania DVD hit the United States last month the DVD cover had a sticker advertising a free Digital Bonus: the Hall of Fame 2018 ceremony. As we all know the Hall of Fame was not included in the Home Video content this year. Unfortunately it appears that the Hall of Fame was not included a bonus either because fans who have purchased the DVD report that the code only gives digital access to WrestleMania itself. In error the Hall of Fame simply wasn’t included. This appears to be a Warner Bros. related issue that is widespread, so we would encourage you to reach out to them if the problem has affected you. 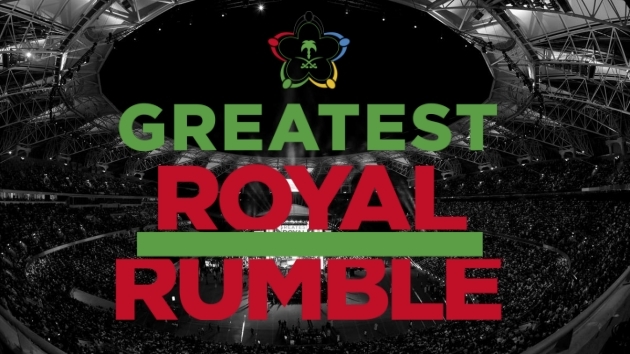 In one of our latest updates we reported that a DVD release of the “Greatest Royal Rumble” event was back on after initially it looked like such plans had been scrapped. Not only was it re-scheduled it also looks to be expanded as there’s talk of a documentary feature being included with the PPV. WWE Home Video UK have since confirmed that they will be releasing the DVD on November 12th, 2018. This is expected to be a worldwide offering but we should have confirmation soon. How many years in a row has Andre’s name been listed for a possible DVD. That streak may last longer than his unbeaten streak. I’m not impressed with today’s superstars or the names of the potential dvd titles. As for the legends, it’s about time Rick Rude and Ted DiBiase got their own sets already. I’m not sure if 3 discs of Goldust would fare well, he deserves 1-2 discs at best. The History of the ECW Championshipn sounds like it would do well as long it doesn’t mention any champion after 2001 (with the except of Rob Van Dam). I think the first disc needs to be either a documentary or pre-Goldust Dustin Rhodes matches only. They could pad it out with a couple of late-90s ‘American Nightmare’ WCW matches also and it could work. Bischoff wasn’t a wrestler though. He had a bunch of different roles during his career (commentator, general manager, executive vice president) but he knew how to make stuff work or stir up controversy. Goldust was always a mid car wrestler who’s best run was between ‘95-‘98. He’s been a comedy act since 2002. A short doco and two discs is really all he’s worth. Even guys like Guerrero, Benoit, Pillman, Jake Roberts got two disc dvd sets for their first set. See, to me … the very fact that he “wasn’t a wrestler” is half the reason why I wouldn’t allocate three discs to him. Not saying you’re wrong, but it’s interesting how people think differently on these things. I would value three discs of in-ring wrestling much more than I would manager promos, skits and interviews. I do completely agree with you though that Goldust should only have 2 discs; I just think the same should have went for Bischoff. And to be clear: unreleased to me means unreleased to DVD. In other words, even if it’s on the Network or been released to VHS, as long as it has never been released on DVD, and it isn’t in YouTube quality, then I’m fine with it being on an unreleased set. 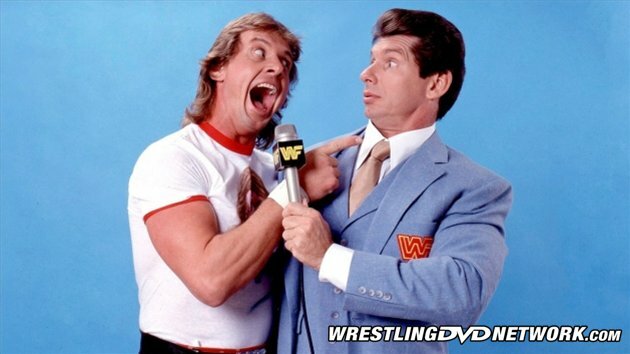 A Roddy Piper unreleased dvd please! Not at all. There’s people on here almost every day talking about wanting BDs. It’s just that it appears to be a futile effort to keep complaining about it because WWE has already made up their minds regarding it. Personally I want shows on 4K UHDs, but that’s never going to happen. 4K UHD is doubtful since I think WWE would need to upgrade their cameras and all their equipment which I don’t think will benefit them at all if all their PPVs will be released on DVD. Even the Network only streams 720p and not even close to 4k quality. No matter what 4K streaming is not the same as 4K on physical media plus you need a pretty fast internet connection to stream 4K. I remember couple UFC events, 200 and 205 were available to stream on 4K by purchasing from the Playstation store but i believe that was upscaled and not true 4K. Well, I must say that I’m happy with the way that you’ve answered my question! I don’t really like the answer about WWE having made up their minds about regarding Blu-rays, yet I’m happy that I’m not just the only one & that others still argue about it daily! It would be great if we could contact WWE direct though & ask them to release all their content on Blu-Ray (if not all, then at least titles to do with Summerslam- like the following 30 years of Summerslam/ the past 30 years of Survivor series/& Other Royal Rumble events – just as they do for the Wrestlemania events! Seriously? How often do you visit the site, because the vast majority of users demand more Blu-Rays on here daily. Not bothered personally as DVD is fine for me, but I understand their argument. I only watch like ten minutes of my own choice of TV per day since becoming a father, so picture quality is the least of my worries, lol. Blu-ray’s have much better sound quality too. Another huge advantage with Blu-ray over DVD is the scratch resistant coating. Now that Warner are staking the DVDs they are actually more prone to surface scratches on discs, plus sometimes when getting DVDs delivered they end up loose in the case and cause scratches. That is non existent with Blu-rays, all you have to do is wipe it and its gone and unless you really try you can’t scratch Blu-rays. The only thing that makes them prone to scratching is people not taking care when removing the discs before viewing. I have loads of stacked case DVDs and have never had a disc defect caused by it. Well they still don’t use all of the available space for content, and DVD can hold more content than they include these days also. I really don’t care about the menu screens thing you mentioned; that sounds like a feature that a child would be amused by. I just want to watch the content after I hit play. Browsing the comments section gave me a great idea. WWE should do a Hart Foundation set. Which could start with some matches from stampede wrestling featuring Bret Hart Owen Hart British Bulldog and Anvil. Them could transition too the WWE when Vince bought out Stampede and gain the aforementioned talent. Bret and the Anvil had plenty of classic matches. Owen and Anvil teamed up and had some good matches as well. Then in 97 when the Hart Foundation became a faction and it was a hot summer that year to be a fan. Lots of good material to choose from. I think it’s a good idea and plenty of fans would purchase this release. Yeah sorry dude, that was more or less the concept of the ‘Hart and Soul’ set. Goldust set with a autobiography of his career including footage of his early career heat with his dad The Dream. The Best of Wwe Superstars sounds intresting. Million Dollar Man set sounds good. History of ecw championship sounds good too. Me personally I enjoy the New Days matches so I’d buy that one along with Charlotte Flairs set. I’d buy Roddys unreleased set too hopefully with some early unreleased promos. Some good stuff there. I for one want a set on the short run that Smokey Mountain Wrestling had. but would definitely prefer these to be on bluray, since unlike the aforementioned possible titles from my other posting these two would mostly consist of footage from the hd era. would be the ones I’d likle to see the most. That is the biggest middle finger that Warner Brothers ever pulled. We want the Hall of Fame and you only give us the digital version of Wrestlemania. Has it been fixed? When you say “middle finger” it sounds like you’re saying they did it on purpose, when it is obviously some kind of error. It wouldn’t benefit them to go out of their way to purposely annoy their customers. Far too few for the legends and most of them are too far back. I wish they would stop making these boring generic things like “Best of Raw and Smackdown” and “PPV Matches” and actually make something interesting. I’d rather see a documentary for 30 years of Summerslam not a match compilation! We already got the WWE Network to watch the matches! Only way WB can solve this issue with the HOF event and make good to the WWE fans is just release it as a separate entity sometime this summer as it’s silly they’re deciding not to release it due to the length of the event. Out of those listed quite a few interest me. The synopsis showed the John Cena Match Compilation to be a collection of his 16 World Title wins. I find that to be an interesting concept provided we get some new interview footage with Cena and his opponents and possibly new commentary with them as well. Incidentally, a companion release of Ric Flair’s World Title wins presented in the same style would be good too. I like the idea of a Four Horsewomen set more than I do individual sets on Charlotte, Asuka and Alexa Bliss. Doing a set on the Horsewomen gives you more choice of matches. Individual sets, at this point in time, would have quite a few meaningless filler matches. On a similar note, sets on Nakamura, Bálor, AJ and Braun can wait two or three years to build up a decent amount of footage (unless in AJ’s case WWE can nab a few TNA matches). I can see Reigns and Ambrose having solid releases even if there wouldn’t be too many unreleased matches given the two Shield releases and the Rollins one. The Smackdown 20th Anniversary set would probably be similar to the Raw ended which we didn’t get over here – wouldn’t be surprised if something similar happens. The Best of Raw/Smackdown, Best PPV Matches and Best of NXT will all get released regardless of any survey outcomes. I’m presuming best of NXT Takeover means only this years events which, while it would be a good release, would only increase the clamour to get previous Takeovers released in some fashion. Those are the ones I want the most. They keep mentioning Best of Superstars. It has to happen someday. What a let-down it would be if it just focussed on the modern-era Superstars show. So november 12th will be the release date for ‘THE GREATEST ROYAL RUMBLE” d.v.d unless they give a closer date. Either way, i’m glad. Let’s get it on ! By the way, we need some never released matches d.v.d’s of Rick Rude, Rick Martel,Tito Santana and The Hart Foundation. 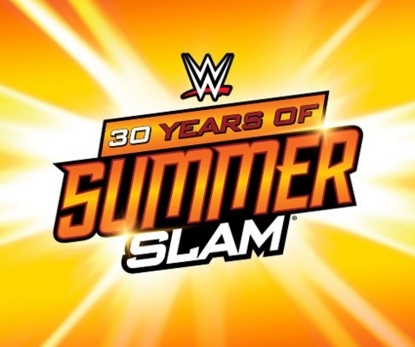 After next month will mark the 30th anniversary of the first ever ‘Summerslam’ that began the pay-per-view trilogy. I feel the need to manage your expectations: they are not ever releasing a ‘Rick Martel Unreleased’ set. They’re not even releasing ‘The Best of Rick Martel’, let alone ‘Unreleased’. I’m not saying the guy wasn’t talented, but come on. Same goes for Tito. While I agree with you RabidHeat, I do wonder if a Legends budget series (around $10 a set) of 2 DVD sets on notable legends with a good blend of unreleased/best of would actually sell. This sort of thing works with music acts. It’d be nice if WWE gave it a shot. I won’t count on it, but if they do SmackDown 20th anniversary, it should be a 20 episode compilation like they did for the Raw 20th. I’d be down with Rude,Piper,Andre,Best of Superstars and possibly Million Dollar Man. The best of WWE Superstars!!! I watched that show every Saturday at noon on CTV as the show name Maple Leaf Wrestling in Canada not WWF Superstars. Many greats moments but it was a show for Superstars vs Jobber as 90% of the time. My favorite was Diesel vs Razor two weeks after Wrestlemania X. A very rare title change on Superstars. No and I’m for all anything Unreleased. Why no Bruno set? Bruno set would be great but unfortunately I don’t think lot matches are complete from his prime and recorded on tape especially from the 60s and 70s. Back then promotions were known to tape over shows but WWF did see there would be money in taped footage in the future so I think around mid-70s they were archiving shows but the question seems to be how much of that footage is in good shape and still in tact, not destroyed due to wear and tear. Don’t think many matches would be included but would definitely love if they released an extended edition of the Bruno documentary from the Network which I thought was excellent. History of the Ecw championship. Getting that. Rowdy Roddy Piper unreleased like the sound of that. Ravishing Rick Rude on dvd yes! Andre The Giant is awesome. All those releases look great. I would love a best of NXT tAke over 2018 set along with Nxt 2018. NXT is getting really good. It depends, if they waste the third disc on the WWECW championship, that’s a no-sell for me! Three downvotes from people who I presume loved the WWECW era, there! The Best of Ravishing Rick Rude… This one has been popping up for years and seems to be the one in the surveys that is the most constant while others get dropped. Lots of people were/are hoping for this set and I am absolutely one of them. I really wish WWE would just pull the trigger and make this set rather than continuously ask people what they think. Again, this possibility has been a part of surveys for years now, which says a lot. I have to question why Sasha and Becky are taking up two valuable spots on that Sainsbury’s / BestBuy artwork when they were only in a Battle Royal on the pre-show (and didn’t even win). As nice as it can be to have an alternative cover sometimes, I’m glad I went with the online exclusive for the Takeover bonus. On the subject of their Summerslam DVD, I’m finding it difficult to get excited for that one. If it’s following the same format as the Survivor Series set, it will have a one-hour long Countdown main feature with no talking heads or narration (just the moments lifted from the PPV) and the remaining two hours of that disc will be wasted. Then 2 discs of matches and an inevitable gap where several years of PPVs are ignored. I honestly think ’30 Years of Survivor Series’ was one of the laziest releases ever, and totally superfluous if you have all of the events since no new content was filmed. Lastly – imagine “The Best of Roman Reigns” as a 3-Disc set. * Shudder * “The Best of Braun Strowman” doesn’t sound so good either. My guess is when they created the Best Buy exclusive cover they didn’t know yet that the Women’s Battle Royal would be on the pre-show. They didn’t announce which matches would be on the pre-show until the week before Mania. If I remember right, that exclusive cover was revealed several weeks before Mania. Well yeah, but my point is they doctored it since then when they added the Undertaker and Stephanie McMahon to it just before release (the version revealed several weeks before didn’t include them), so while they were at it they could’ve switched out Sasha and Becky for two superstars who achieved more on the night. Let me guess, they’re going to look at the results of this question and say “See, people purchased more WWE DVDs than BDs.“ Of course. When you only release 5 BDs compared to 30 DVDs, then obviously you’re gonna sell more DVDs. It’s not rocket science. Sometimes I wonder if rocket science is all that difficult. I mean if it’s your passion and you enjoy it, maybe it comes naturally. Not to mention the dvds are easier to find than their blu ray counter parts and they always released more dvd versions than the blu rays. So once the blu rays sold out…people were left with the dvds.